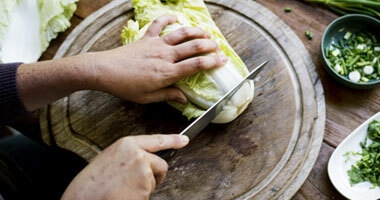 Wright Farm Produce recommended recipes for Celery, Chinese Leaves and Little Gem Lettuce. Melt the butter in a large pan and fry the onion until soft and golden. Add the celery hearts and cook for 5 minutes over a medium heat. Next pour in the stock and add other ingredients. Stir well and bring to the boil. 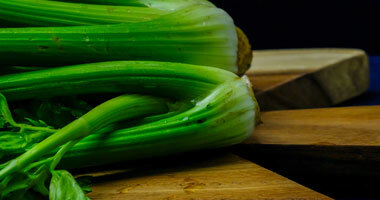 Cover the pan and simmer for 30 minutes or until the celery is tender. Heat the oil in a wok or large frying pan over a high heat until smoking. Add the celery and stir fry for about three minutes, until the celery begins to soften. Add all the other ingredients and cook for a further 2 minutes until the liquid begins to thicken and coat the celery. Serve as veg for 2. 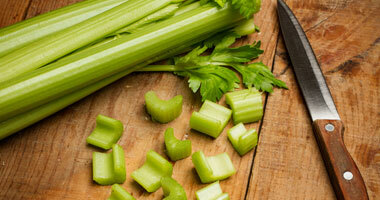 Thinly slice the celery and onion, fry gently in butter for 10 minutes. Add stock and seasoning. Bring to the boil, cover and simmer for 45 minutes. Sieve or liquidize. Mix cornflour to a smooth paste with a little milk. Add to the soup mixture with the rest of the milk. Bring to the boil, stirring and simmer for 5 minutes. 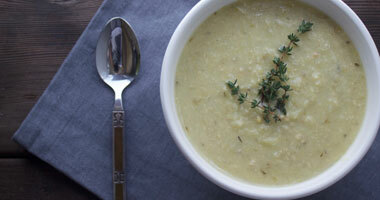 Serve and garnish with swirls of fresh cream and chopped parsley. Make the dressing by whisking together the oil, balsamic vinegar, garlic and seasoning. Use the garlic to taste if required. Wash and dry the lettuce. Once dry using a large bowl toss the lettuce in the dressing. 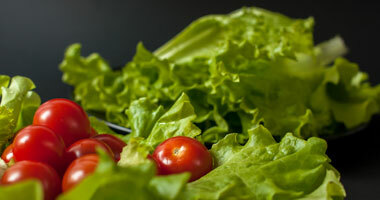 Sprinkle the remaining ingredients over the top of the lettuce one by one and then serve. Mix together the soy sauce, vinegar and honey. Stir in the cornflour. When it has dissolved stir in the sesame oil. Set the sauce to one side. Heat the olive oil in a wok or large frying pan over a moderate heat and add the pepper and miso. Stir fry for a few seconds and add the Chinese leaves. Stir fry for another 2-3 minutes until the cabbage begins to soften, then add the soy mixture. Cook for a further 2 minutes until the cabbage begins to glaze. Serve immediately.